Three excellences together: Arclinea, Samsung and Ferrandi. 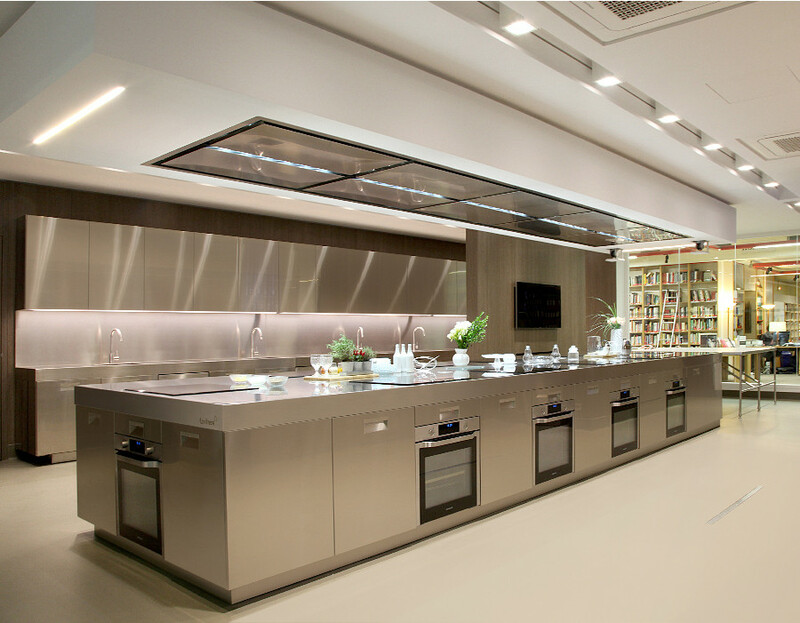 Founded in 1920, Ferrandi is the best professional training school in France and it aims to teach the skills that have made French gastronomy famous throughout the world. 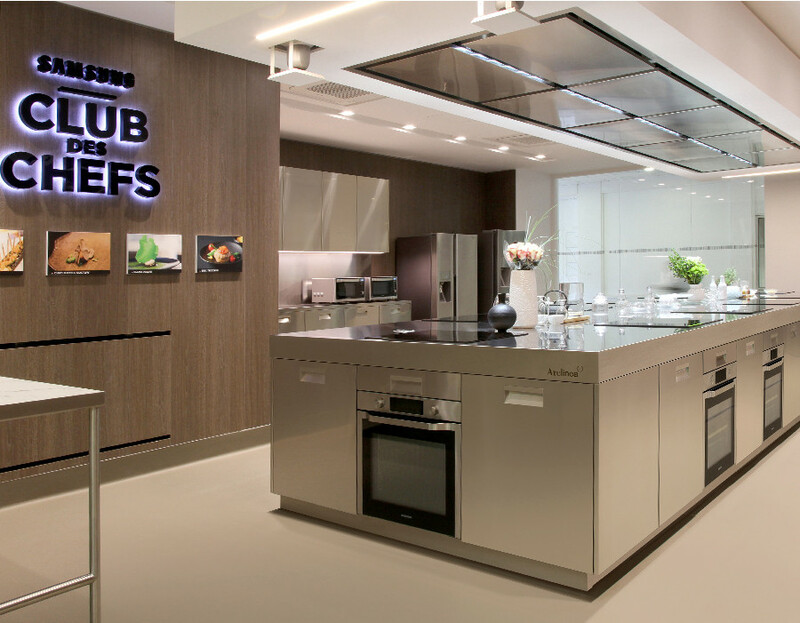 In the cooking sector it has earned a reputation as an elite school, turning out internationally famous chefs. 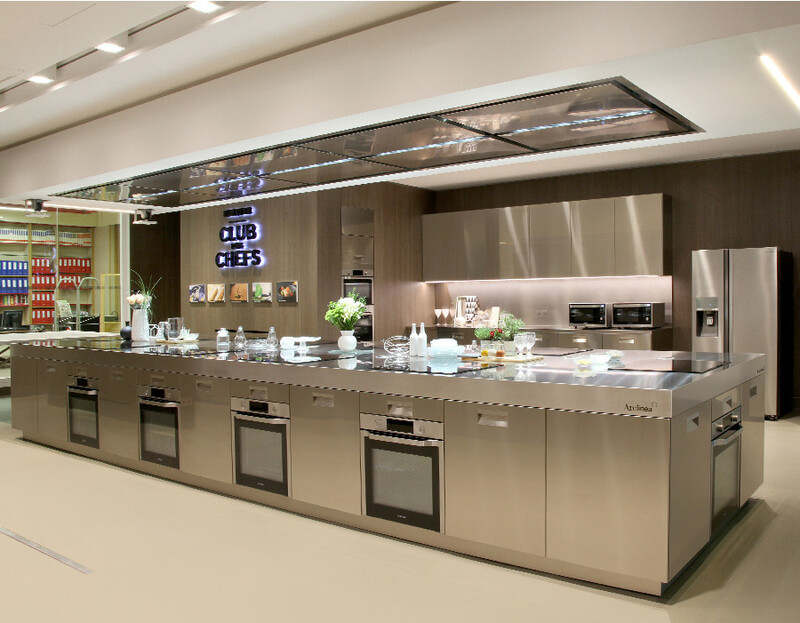 Located on the Ferrandi Campus in Paris, "The Samsung Culinary Class" covers 130 m² and is equipped with cutting-edge Samsung electrical kitchen appliances. 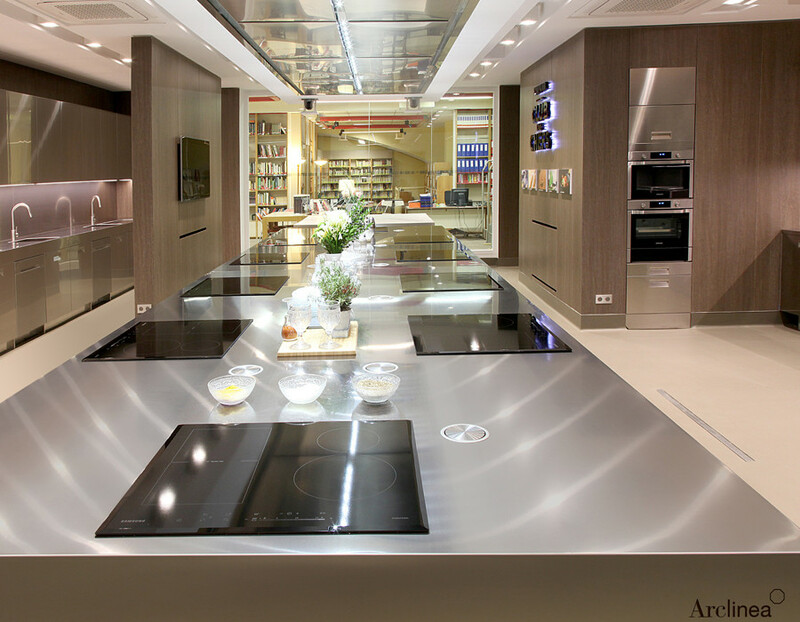 To create the perfect kitchen, "The Samsung Culinary Class" has been designed and fitted with Arclinea kitchens, in collaboration with the famous interior designer Kikko Bestetti.